Hi again, Funds Fans! Ta-da 🙂 Here is the deadline alert I promised yesterday. A.S.A.P. (until funds are expended) The Get Youth Working! Program is funded through the Canada-British Columbia Labour Market Agreement. The Program offers employers a $2,800 hiring incentive (up to 3 employees at $2,800 each) to hire eligible youth 15 to 29 years of age. Additionally, employers may request up to $1,000 to purchase training for the newly hired youth. Training activities must be pre-approved and completed within the term of the funding agreement. May 6th, 2014 EOI’s due. The Humanitarian Innovation Fund supports organizations and individuals to identify, nurture and share innovative and scalable solutions to the challenges facing effective humanitarian assistance. Their small grant facility is open all year round and offers grants of up to £20,000 for the recognition, invention & diffusion of a humanitarian innovation. Calls for large grants proposals are made twice a year and offer grants from £75,000 to £150,000 for the development and implementation of a humanitarian innovation. May 6th, 2014 Grand Challenges Explorations Round 13 is now open. Topics include Integrating Community-Based Interventions, Fetal and Infant Brain Development, Inciting Healthy Behaviors, Interventions for Enteric Dysfunction, Agricultural Development Systems. Awards of $100,000 USD are made in Phase I. Phase I awardees have one opportunity to apply for a follow-on Phase II award of up to $1,000,000 USD. May 8th, 2014 BC Agrifoods Export Program provides funding for projects that enable BC’s agriculture, food and seafood sectors to increase export sales and expand international market access through participation in international market development activities. A maximum of $50,000 in funding is available on a first-come, first-serve basis until funds have been fully allocated. Participants must contribute 50% in cash of the total project cost. In-kind contributions can be included as part of the overall project budget, but are not eligible for matching funding. May 9th, 2014 The BC Agricultural Research & Development Corporation is offering funding to projects that address agriculture environment issues and wildlife impact mitigation. Projects should be aimed at improving environmental sustainability in agriculture. Topics addressed may for example be related to soil, air or water quality, water conservation, pesticide reduction and biodiversity. A maximum of 85% of the cash cost of a project can be provided by the program. 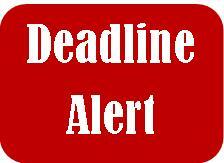 May 12th, 2014 The Chilliwack Foundation provides grants for projects in and around Chilliwack, B.C. Applicants must be registered as charities under the Income Tax Act (Canada) and must be capable of issuing a tax receipt for Grant funds received from the Chilliwack Foundation. May 15th, 2014 Getty Images believes that photojournalism is a powerful tool for telling compelling social, political and cultural stories. They also understand that creating and managing world-class photography assignments requires time, freedom, support and considerable resources. In 2014, Getty will provide five total grants of $10,000 each to photojournalists pursuing projects of personal and journalistic significance. Applicants must be presently engaged as a professional photojournalist. A professional photojournalist, for the purposes of the Getty Images Grants for Editorial Photography, is one who derives the majority of his or her income from documenting issues and events through still photography. May 16th, 2014 The NIKE Foundation is dedicated to unleashing the potential of the 250 million adolescent girls living in poverty through insights-driven innovations, strategic partnership and solutions that can be scaled to enable and equip adolescent girls to realize their potential. We are seeking strong partners to realize this vision through strategic advocacy at the global (up to $250,000) and national (up to $150,000) levels. May 22nd, 2014. Grants range from $25,000 to $50,000. New Relationship Trust Direct Support & Policy Development Grants for B.C.’s aboriginal communities and organizations. May 23rd, 2014 The Future Generation Tech Lab Grant program offers monetary grants for secondary schools looking to upgrade or introduce new technology into a specific program or classroom primarily used by students in grades 9-12 to inspire and empower students to achieve their highest potential. Maximum grant: $20,000. May 26th, 2014. Up to $2,000. New Relationship Trust Elders Grants & Youth Grants for B.C. aboriginal communities and organizations. May 30th, 2014 ArtStarts has a long history of bringing professional artists into classrooms across BC through the Artists in the Classroom* (AIC) grant program. This funding program supports projects that put students in direct contact with a professional artist in residence in their classroom and aims to connect an art form and another subject area to meet evolving objectives in both. May 31st, 2014 The Provincial Employee Community Services Fund (PECSF), also known as the Community Fund, focuses on charities that are in our local communities. Requests of less than 40% of total budget that are sustainable beyond the funding cycle will be reviewed.